In 1995, streetsmart London schemer Ray Santilli (Declan Donnelly) traveled to the United States with his booksmart best friend Gary Shoefield (Ant McPartlin) hoping to kickstart his business selling Elvis memorabilia to the King's fans across the pond. Yet the former video pirate who peddled copies of Hollywood hits realized that he couldn't escape his affinity for hard-to-come-by film prints by branching into a legitimate enterprise just yet. Cryptically invited to screen a never before seen black and white short that an eccentric military photographer claimed he'd been flown five hours away to film in the dead at night at the Roswell, New Mexico base back in 1947, Ray experiences his first close encounter with the alien kind as a top-secret autopsy flickers right before his eyes. Scrambling to form a tentative relationship with an intimidating, foreign underworld investor, Ray and Gary raise the thirty thousand dollar payoff needed to bring visual proof to life that mankind is not alone in the universe. Nonetheless once the film is in their possession, the guys face their first stroke of both good luck and bad in this strange but true albeit cinematically fictionalized account of the worldwide phenomenon and cult fascination of the Roswell alien autopsy that was broadcast on television networks to roughly one hundred million viewers around the globe. But just what exactly the public was shown versus what Ray had viewed in that Miami garage has always been the subject of debate. Was the footage real or fake? Edited or manipulated? And if there was some sort of conspiracy at work, who was involved and what part did they play? Why would the government agencies of any of the respective countries let it air and why would two average Londoners be able to just stumble into the greatest home movie discovery of the twentieth century? While for the most part all of your questions will be answered in this rousing, fast-paced, energetically inventive and whipsmart comedic interpretation that was released in the UK a few years ago, in stark contrast to the rather severe X-Files dossier sounding title, helmer Jonny Campbell's Alien Autopsy aims to entertain rather than educate. 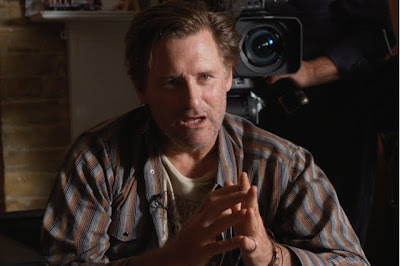 Structurally, the film employs an extended flashback framing device most likely to tie up all of the loose ends as a documentary filmmaker (Bill Pullman) interviews the two unassuming men. Yet despite a slightly “too pat” ending, much to its credit in breaking free of the restraints of a formulaic set-up, Autopsy soon loses itself in the story as it happens in '95 rather than looking back on the story as it's told to Pullman several years later. Taking its opposites attract buddy comedically adventurous bromance into the great tradition of UK ensemble crossover hits of the last twenty years like Four Weddings and a Funeral , Notting Hill , and Saving Grace , the movie builds up a clever momentum as more friends and relatives are brought into Ray and Gary's scheme. Witty, weird and wonderfully surprising despite its unfortunate name, whether you're in it for the truth, the fiction, the aliens or the accents, Alien Autopsy is worth seeing regardless of what you believe.